In anticipation of Concord Academy’s 100th anniversary in 2022, the school has prepared a Centennial Plan, designed to ensure that the next century is as strong and as vibrant as its first. 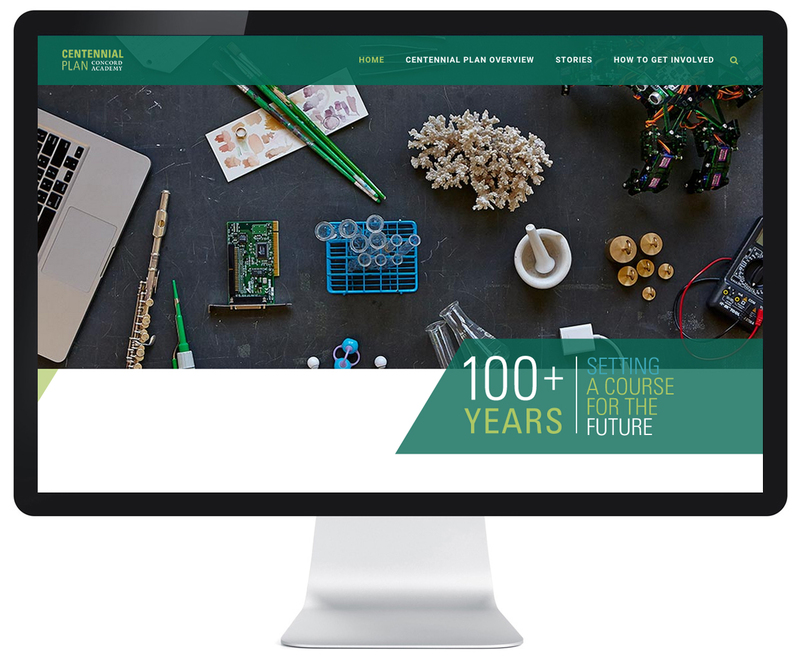 The microsite Concord100.org was created using Wordpress in partnership with the agency Might & Main to provide constituents with a clear understanding Concord Academy’s centennial plan, and to engage them in CA’s bold thinking for the future. The website features a number of stories about how various initiatives impact teaching and learning at CA. Through slideshows, video, and stories, it conveys the vitality of the school and the substance of CA’s plan. With this plan, the primary motivation is to ensure that the school can continue to prepare students to take active roles and to make a difference in the world in the decades to come.